The University of the South Pacific recognizes the performance of high achievers with medals and prize awards each year. It is a very competitive process for students to be picked many high performers and the selection process is very rigorous. To be picked up among many students is truly golden, at least this is true for Adrian Tari and Diana Taga. The Awards are given for the previous year thus this year’s event recognizes student’s academic achievements for the 2018 academic year. Mrs Tari and Mrs Taga received a Gold Medal each during the presentation which was held on Wednesday this week, and for them, “this was a hard-earned reward after so many years of sacrifice”. 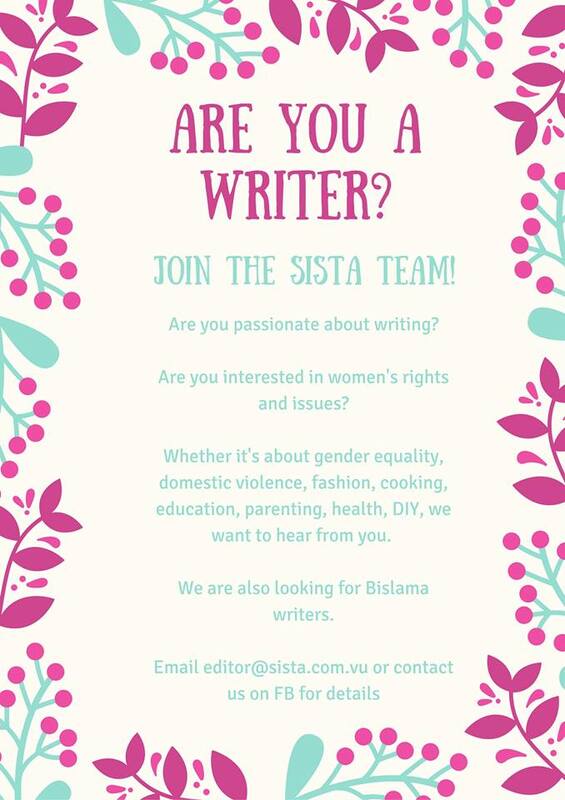 Mr Harrison Selmen, a journalism student and former reporter at the Daily Post caught up with them, and this is their story. Mrs Tari was awarded a gold medal as top student in Education while Mrs Taga was awarded a gold medal as top student in Sociology. The two students said their four years’ study journey was challenging because they have to look at their family needs while focusing on study. “I have to thank my kids because they are a motivational inspiration to me during our time in Fiji. “They would always push me to go beyond the limits to get good grades,” says Mrs Tari. Mrs Taga said her husband was very supportive in their home to make sure their family keeps going despite the many challenges. 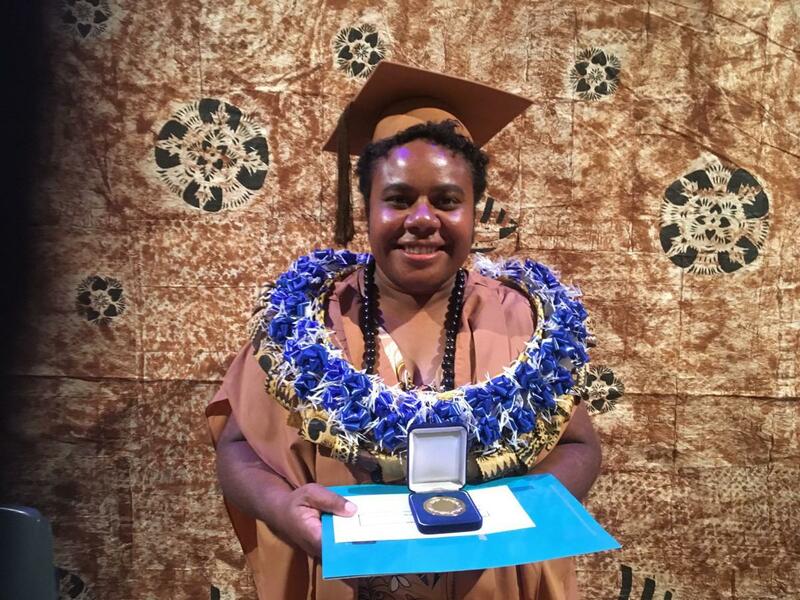 The two Vanuatu female students recalled to their humble beginnings during their primary level of Education before to college and finally to University. Mrs. Tari said she was raised by very dedicated parents where they would always want the best for her although they are not well educated and even the unfortunate standard of education during her days. 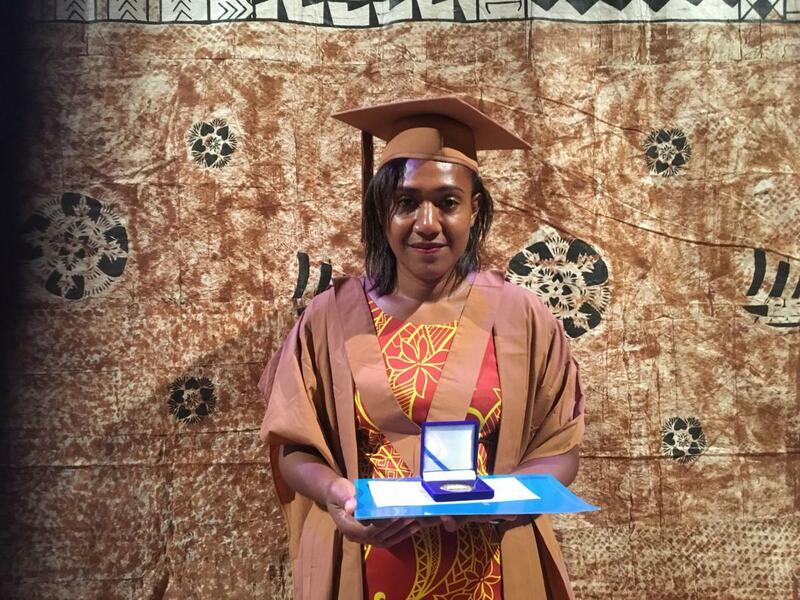 The two female students were awarded recipients of the New Zealand Aid scholarship to study in Fiji in 2016. Mrs. Taga did a double major in Sociology and Politics while Adrian continued her passion for teaching pursuing a Bachelor of Arts (BA) majoring in Education and Physics. Amongst friends and their circle within their small family the two female students shared so much love and respect for their parents whom they honored as their role models. “I would like to dedicate this award to my humble father,” Mrs Tari said with tears. Mrs Taga shared the same sentiments saying her father deserved this award and she is so proud to return home to Vanuatu to meet them all. When asked about how they have overcome all the obstacles and win gold medal, both recipients said in order to be success in life, you have to work hard but always let God to be the center in everything you do. Adrian added that she has built her life and home on Christian values and to always fear the Lord in everything she does. Mrs Taga said she was happy and proved that God will never forsake his children and encouraged all the students to always seek God when they are into problems and challenges. The Vanuatu High Commission in Fiji congratulated the two Vanuatu female students on their awards, and encouraged them to go further as the opportunity avail of their great achievements. 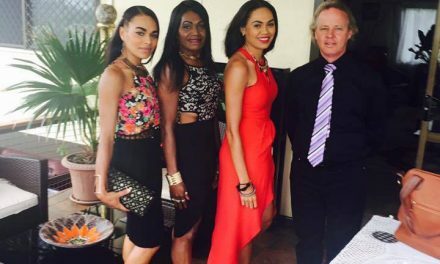 Mrs Tari and Mrs Taga graduated last year in Port Vila but had to return to Fiji this week to be awarded their Gold medals. Many friends and students took to social media to congratulate the two awardees on their achievement. When asked about women empowerment, Mrs Tari said she had told many male friends during her first year that she would like to prove that women can excel in anything if only they work for it. 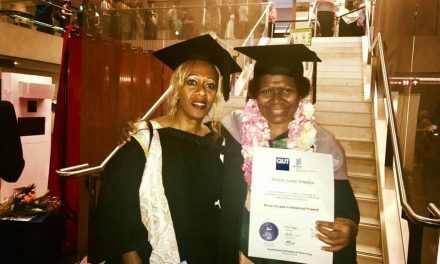 She continued to encourage female students in Vanuatu and around the region to continue to work hard and prove that nothing is impossible in life. Meanwhile, the new Vice Chancellor and President of USP, Professor Pal Ahluwia, said the gold medalist had excelled in their respective studies and it was a pleasure to recognize their hard work and achievements. He said it is pleasing to note that 32 out of the 52 awardees on Tuesday night were female students. 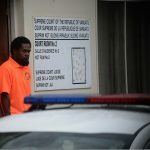 The two female students have returned to Vanuatu on Wednesday. 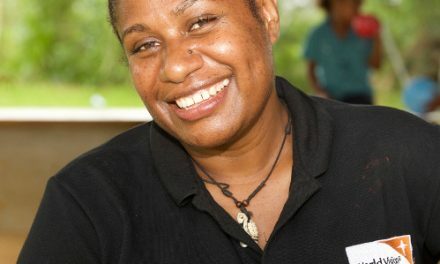 Mrs Taga works for the Vanuatu Department of Foreign Affairs and Mrs Tari is a teacher at Onesua Presbyterian College. What is Sista i Shine?